If you are looking for a white sand beach, remote island without pollution, combined with diving, snorkeling, spectacular view and good appetite, please visit Villa Grasia Resort & Spa, Gili Trawangan, Lombok, Indonesia. the island, where motor vehicles are banned and horse-drawn carriages ( Cidomo ) are the preferred method of transportation is contrasted by the adrenaline rush of diving with barracudas, manta rays, sharks, and last but not least with hundreds of turtles. terrace, a spacious bedroom, and a well-appointed bathroom with a private courtyard. 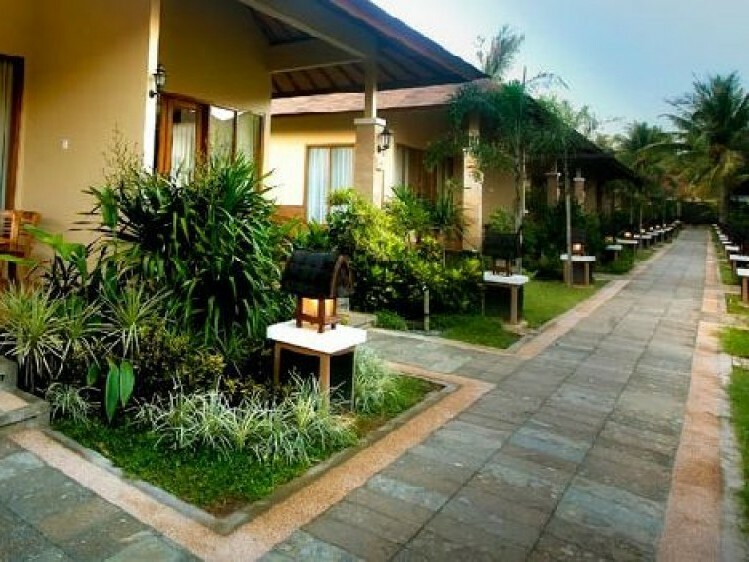 This beautiful resort brings together an enticing blend of spacious cottages, excellent standard of dining outlets, bar, spa, and ocean recreational facility.